With a booming economy and well-paying job opportunities, Australia has become a perfect destination for skilled professionals who wish to work in overseas. India and Australia have many things in common like more respect for democracy and love for Cricket. This Kangaroo land is widely known for proffering impressive number of career prospects. As a country of great scenic beauties, this world-class destination offers balanced lifestyle with good standard of living. 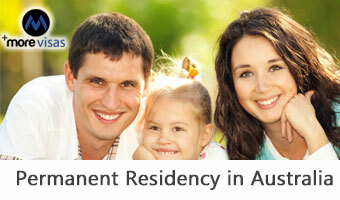 It’s welcoming and friendly society makes most overseas skilled workers to get inspired with Australia immigration. Despite its less population and area, its steady economic growth, political stability, developed health care services and social security make most skilled individuals apply for Australian PR from India. An overseas skilled worker who aspires to make the most out of their professional prowess can choose this country as their first choice of destination. Australian department of immigration and border protection has designed many immigration programs for skilled workers to have a strong desire to contribute something to the country’s economy. An overseas skilled professional, who possess special skills and qualifications, and have a good character are permitted to work, live and study in any province without any constraints. Whatever may be your choice, he or she is recommended to meet the basic eligibility criteria of the country. Enter and settle in Kangaroo land to enjoy the privileges and rights of the nation without being its citizen. For more information fill out our enquiry form, so one of our visa expert will approach you soon.